Hi. Bet you didn't expect to see me here today. After all the time that I have spent wiling away my summer days, eschewing all practical usage of time, today I discovered something fabulous that just absolutely needed to be shared with the world. Let me introduce you to: Chimes Ginger Chews. 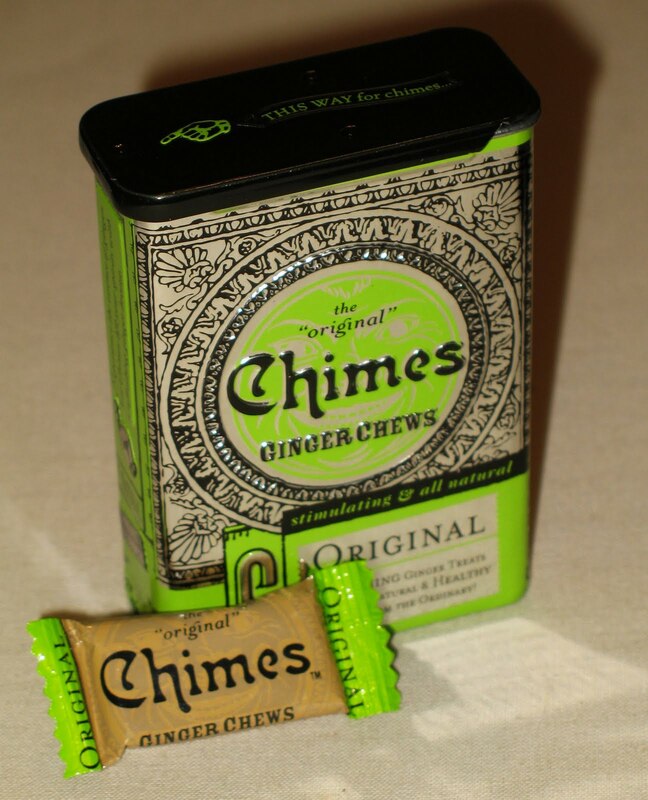 Chimes delivers a sinus-tickling power surge of ginger flavour in a teeny tiny sticky-chewy package. You need to be a true fan of ginger to enjoy these as there is an abundance of lively ginger taste. The candy does come in other (to me, rather bewildering) flavours such as peanut butter, peppermint and tangerine. Apart from the tangerine, I just can't imagine the combination of these flavours co-existing harmoniously together. These are a natural candy, containing a mere four ingredients, all of which I recognise and can easily pronounce. That is a difficult feat with most foods these days. Apart from the zowie great taste of these, I am also seriously in love with the retro style tin in which they come packaged. I found these at my local Superstore, quite by accident, so I imagine they must be rather widely available. Look for them next time you are out. I felt great after reading the article that you wrote.thanks.